Grew up with Statyba Vilnius (Lithuania) juniors. Played college basketball at Barton County CC (2003-05) and at Texas A & M (2005-07). Moved to Greece for the 2007-08 season, signed by BC Panionios Athens. Signed for the 2008-09 season by Kavala/panorama. Moved to Italy for the 2009-10 season, signed by Juve Caserta. Signed for the 2010-11 season by Prima Veroli, Legadue. 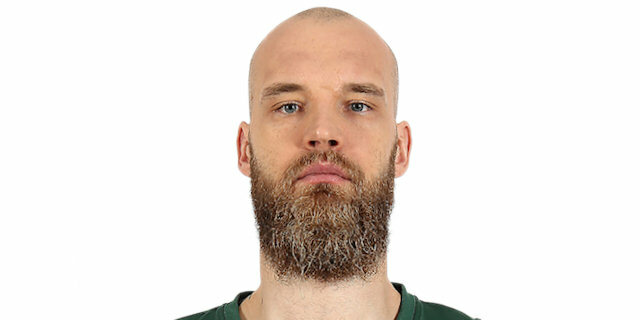 Moved to Latvia for the 2011-12 season, signed by VEF Riga. Moved to Spain for the 2013-14 season, signed by Bizkaia Bilbao Basket. In March'14 moved to Lithuania, signed by Lietuvos rytas Vilnius. Signed for the 2016-17 season by BC Zalgiris Kaunas. Won the 2011-12 and 2012-13 Latvian National Championship with VEF Riga. Won the 2016-17 and 2017-18 Lithuanian National Championship with Zalgiris Kaunas. Won the 2017 and 2018 Lithuanian National Cup with Zalgiris Kaunas. Played the 2013 Latvian All Star Game. Has been member of the Lithuanian U-21 National Team.